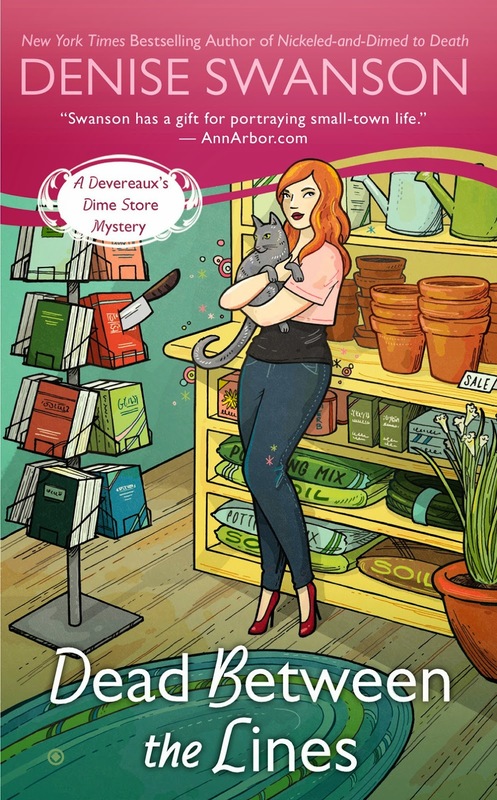 'Opening an old-fashioned five-and-dime shop in her small Missouri hometown has been a great change for Devereaux "Dev" Sinclair. But when she hosts a reading group there, she learns that bad writing can mean life or death. To keep her new business in the black, De opens up her shop to local clubs. But in the first meeting of the Stepping Out Book Club, the speaker storms out after members attack his poetry's sexism and scorn for small towns. Later that night, the poet's body is found outside Dev's store. I will admit that this mystery series isn't quite one of my favorites, but I did enjoy this one better than any other book in the series so far. I will admit that the love triangle that seems to overwhelm this book is nothing short of annoying. I was really hoping that the author would have the main character choose one and get on with it, but apparently not. Nothing drives me more crazy then indecisive characters and love triangles. While the mystery was good and the plot line a little more engaging than its predecessors, the love triangle overwhelmed me and took a plausibly good storyline and made it cheesy. I tend to get stuck on one annoying thing and not see how it affects the whole book. I understand that the writer is doing this for intensity of the plot, but it's like really shoot me now and pick one already. That's what I was seriously thinking for most of this book. Also this book had some things in it that made me think that they weren't original at all. The mystery surrounds a book called Ten Colors of Blonde which is obviously a knock-off of Fifty Shades of Gray. I mean come on. A little originality wouldn't kill someone now would it. So while this book might appeal to other readers, I just couldn't get pass those two things. Like I said, it was an improvement on the other books in the series, but still it just didn't all quite work for me. I highly recommend that you don't take my word for it and read it for yourself to see if you are intrigued more than I was. I will probably read the next in this series and if something doesn't happen with that blasted love triangle, I will have to stop. I cannot keep reading the basic same storyline in each and every single book.